In the 1840s and 1850s one publisher dominated the field of London transport guides: William and Edward Mogg. 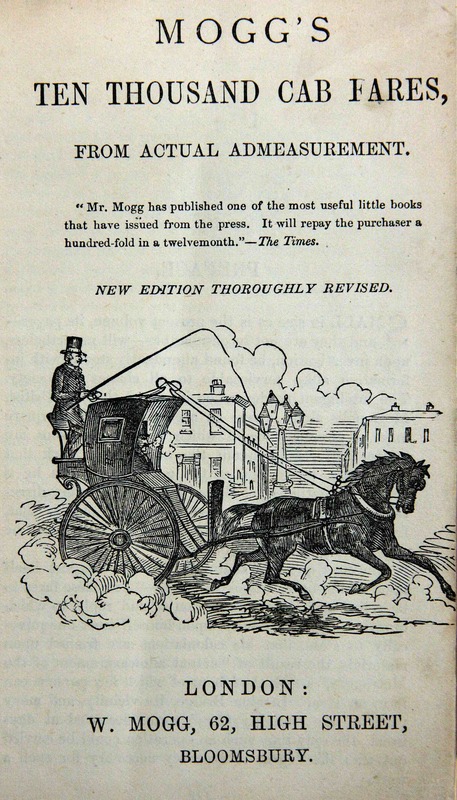 In 1844 Edward Mogg published his first Omnibus Guide which also included a separate section detailing cab fares. 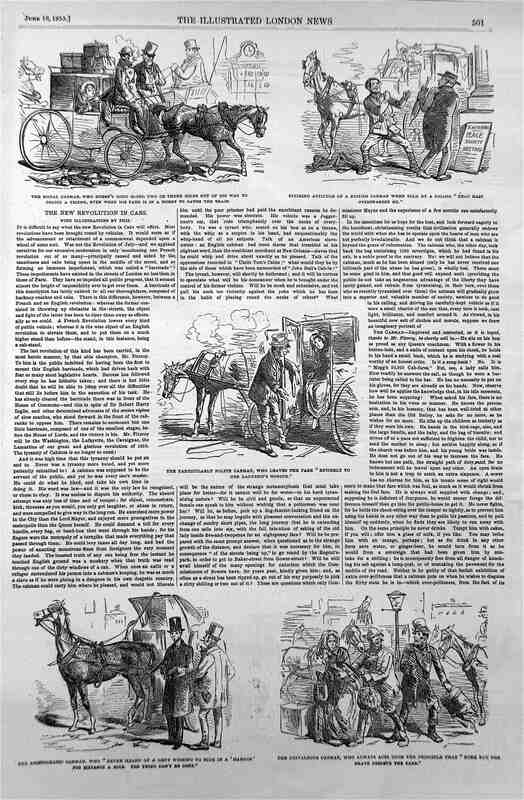 Better known was his brother William’s Ten Thousand Cab Fares (1 & 2), first published in 1851 and running to many editions. 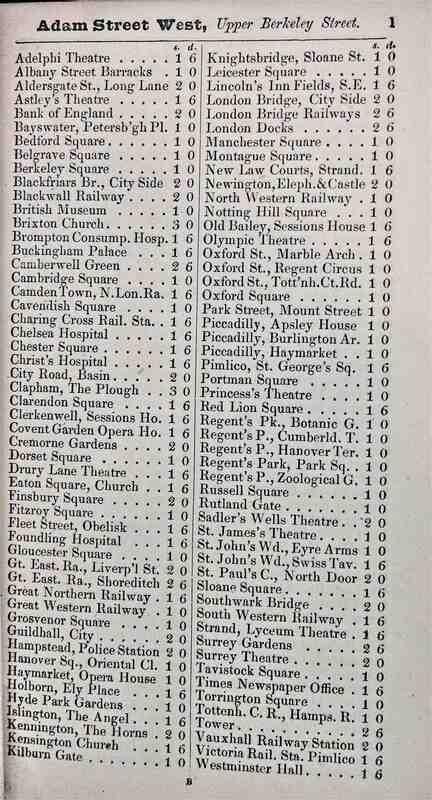 The authority of this guide centred on the fares being calculated by ‘actual admeasurement’, apparently undertaken at dawn when the city was quiet, with 104 destinations measured from 74 stands using a perambulator. It appears that readers responded enthusiastically to this new guide: The Times celebrated it as ‘one of the most useful little books that have issued from the press that would make London’s cabmen honest’. 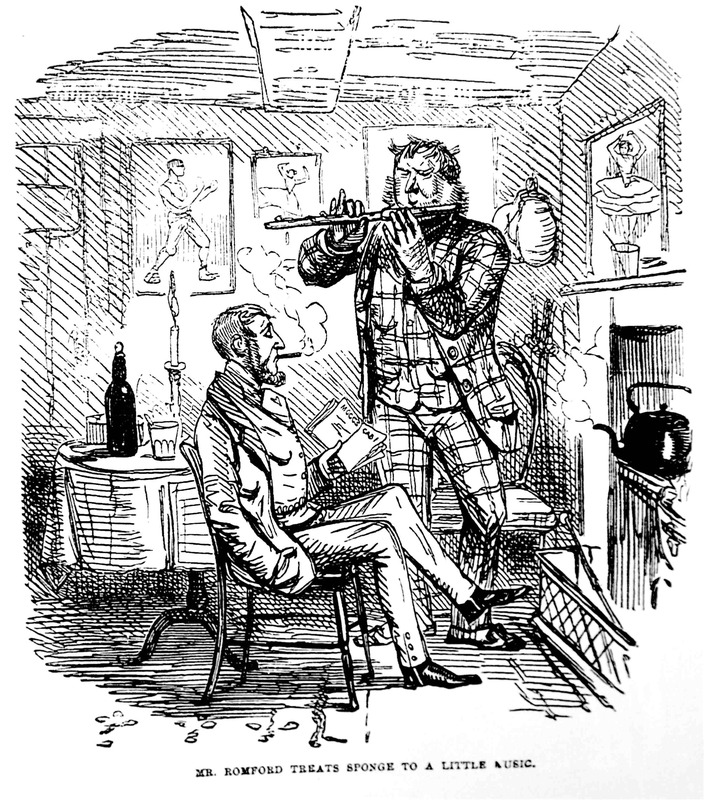 Such was its fame that the eponymous hero of Robert Surtees’s 1852 novel Mr Sponge’s Sporting Tour had his Mogg as a constant companion in his pocket, not for resolving disputes with cabmen but for working out fares in his armchair at home, as a means of relaxation (3). This even extended to keeping it under his pillow at night. Mogg himself encouraged his readers to come to his own offices in cases of disputes with cabmen, where he would act as a mediating authority. 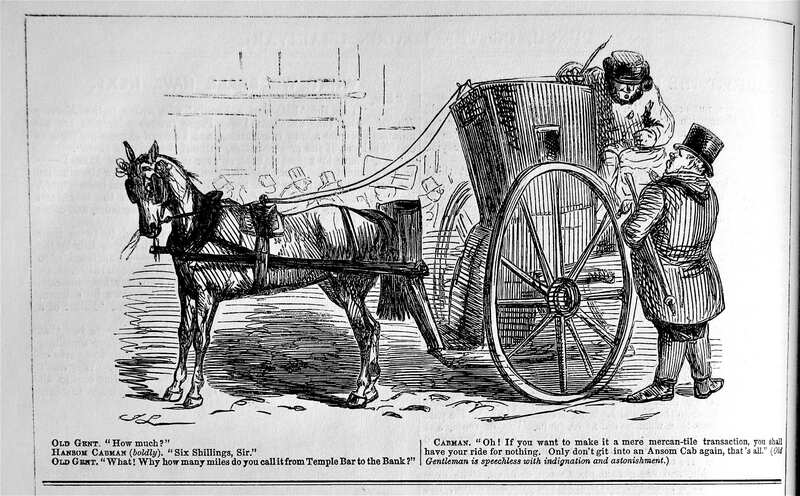 If Mogg’s knowledge of London’s distances was not in question, others doubted their own abilities: one writer to The Times in March 1851, anticipating the number of visitors to the Great Exhibition who were likely to become victims to extortionate cabmen, asked: ‘who but Mr Mogg is in a condition accurately to determine exact distances?’ The Illustrated London News encouraged cabmen themselves to read Mogg, the result being that when a cabman was asked his fare ‘there would be no hesitation in his voice or manner’ for ‘he would know the precise sum and would wish for no more’ (4). Not surprisingly, passengers did not share this hope: even as late as 1870, one regular cab user complained in The Times that even though he had studied his Mogg well and knew ‘the exact length of a shilling fare’, he was still perplexed by the lack of a fixed system of fares. A self-confessed ‘short-sighted, corpulent, dowdy’ man, he felt helpless in the face of disputes with ‘rough’ cabmen who, as countless Punch cartoons showed, had an intractable tendency to rip-off their customers (5).